Little kids love animals. I’ve been wanting to make some cards like these since my first child was a toddler. He loved learning and reading about animals so much, I figured why NOT start teaching him about the different types of animals like mammals, birds, and reptiles? There’s so much knowledge that can be extended from simply learning about animals such as habitats or the concept of predator and prey. The main reason I made these cards, however, was to help my kids learn geography. A few weeks ago, we made a Homemade Learning World Map with repositionable continent labels. 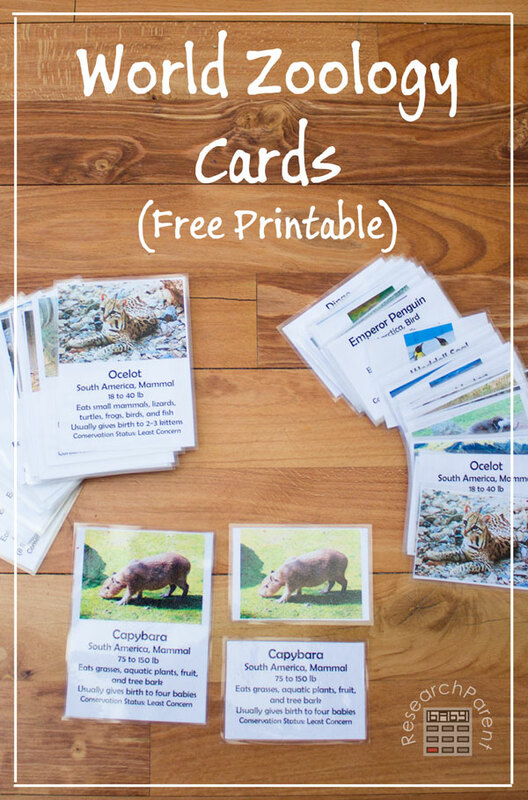 Now that my kindergartener knows his continents, these cards can be used to reinforce that knowledge since this free printable features four animals from each continent, each one selected because it is predominantly found only in that one continent. 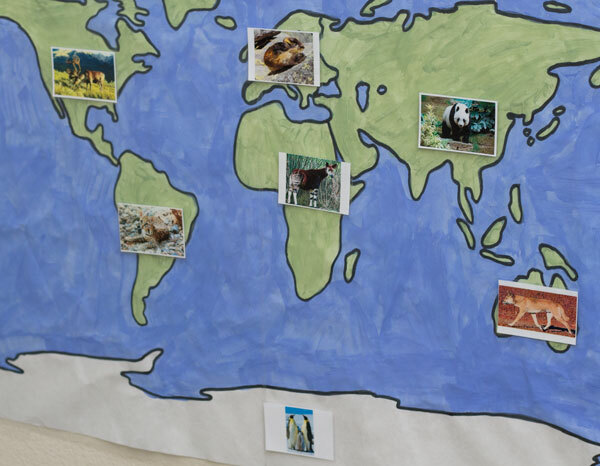 One way to use this printable would be to select 7 animals (one of the four from each continent) and have your child tape them to a laminated world map. Children who are capable of reading (or are learning to read) can use these cards Montessori-style by simply matching the labels to the picture. (For younger kids, I would only give them a continent at a time to make the task more manageable.) Control cards are provided which show the picture and label together so that the child (or parent) can refer back to this set to find the correct pairing. To turn it into a game that you can play with your child, the split activity cards can be used as a memory style matching game. The control cards could also be used alone for sorting. 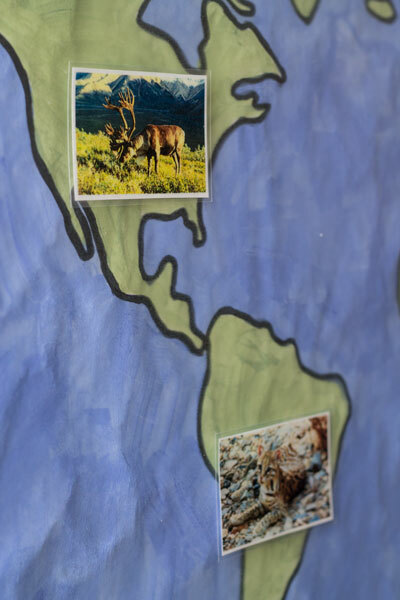 Children can sort the animals by continent, type, size, or conservation status. 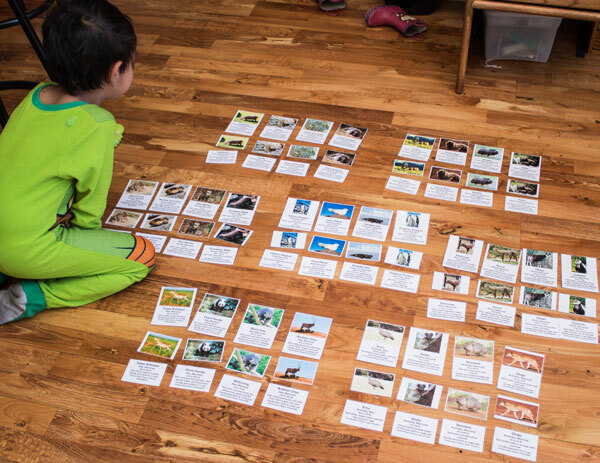 At the request of a reader, I now also have 3-part cards that split the information on the control cards into 1) picture, 2) name of animal, and 3) additional facts to make the activity more difficult for older children. I recommend starting kids off with just one continent group at a time before attempting the full set. 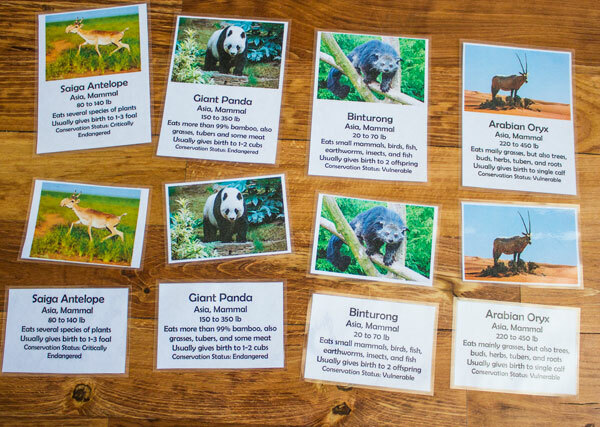 Don’t forget, these cards can also be combined with my Homemade Learning World Map for a more hands-on activity. If you enjoyed this printable, please consider signing up for my newsletter (which includes a freebie useful for kids in middle school or younger). What a great idea! When I was little (many moons ago,) I had these great animal cards that would come in the mail every month…I can’t remember the name of them, but when I saw your post, it reminded me of them and I got so excited! What great memories this post brought back for me! 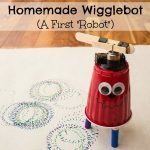 :) Thank you- I can’t wait to make these for my little animal lovers at home! I think I might have had those cards too when I was very young. I specifically remember the conservation status and having cards that featured a lot of endangered animals. I’m glad you’ll be able to use them. Thank you so much for stopping by! Your cards are great! 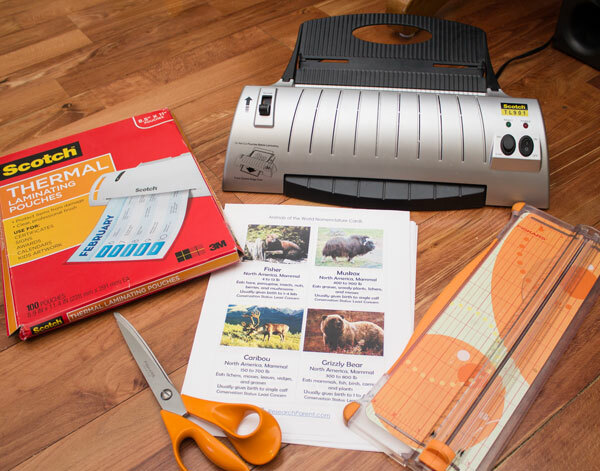 We have that same laminator and use it all the time. This is so awesome! I’ll be sharing it! That’s really thoughtful of you. Thank you so much! These cards are simply wonderful! 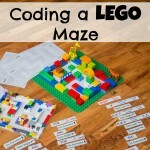 I am enjoying discovering all of your creative and well put together resources. I teach Art at a public Montessori school, with two Montessori children of my own, and greatly appreciate all of the work you are sharing. 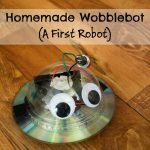 I have already shared several of your materials with my co-workers and downloaded a few to share with my own little ones. Might I suggest turning these detailed cards into three-part cards? The image and animal name would be two pieces and all of the facts would be the third (or even fourth or fifth piece). This would enable them to be used for Upper Elementary Students. Thank you so much, Kim! I’m so glad you’ve found my resources useful. That is a great suggestion. It hadn’t occurred to me, but I can definitely add a version where I draw an extra line to separate the facts from the name of the animal. I have a busy day today, but give me a few days and I’ll see what I can do. Thanks again! Hi again, Kim! I made some 3-part cards. Let me know if you have suggested improvements. I thought about making 4 or 5 part cards as well, but decided against it for the time being. This is such a great idea, I want to keep doing it with the new sets I put out (and eventually go back and add this feature to the ones I’ve already done), but doing more than 1, 2, and 3 part sets might get to be a little too much for me! If your kids think it’s too easy though, let me know and I’ll make an extra challenging version especially for them. :) I’m so glad you’re able to use them! Your resources look amazing. Ive been trying to download the free printables but they dont seem to open. Is there something im doing wrong?